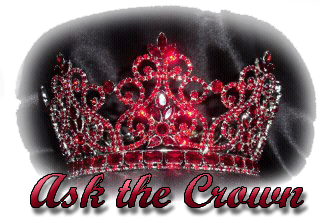 Ask the Crown, Stephanie McGrane interviewed Michele Strom, Mrs. Nebraska America 2007 - 2nd runner up to Mrs. America 2007, Mrs. Nebraska United States 2009, top 12 at the Mrs. United States Pageant, owner of the Winning Crown Boutique and star of WeTV's Obsessed with the Dress. How the idea of the show was born. It was a typical day at work until Michele's shop received "another" call from Pie Town Productions. One of her wardrobe specialist answered the call, (they had called a few times before), but Michele was never given the messages because the assistant thought the caller was trying to sell Michele pies! They has no idea who was calling! Finally, after Michele heard about the project she decided to submit a video of the store and their employees. After seeing the video, the production company liked the dynamics of the Winning Crown Boutique and decided to go with them. Two years ago, the production company sold the show to WeTV and the show went went into production. The crew and staff filmed all summer. Michele said that is was a bit stressful to manage a business and a household while being followed around by cameras, but she said it was worth every moment of it! What makes the show a success? The different characters: Are you on Team Beau or Team Tiffany? People also like to see what goes into picking a dress for girls who are competing in higher end pageants. It is also interesting to watch the thought process of exactly what goes into picking the perfect dress. Michele: Owner of Winner Crown Boutique. She sells 360 pageant dresses a year. Michele also dressed the winner of Miss America 2011, Teresa Scanlan. Sarah: Michele’s first employee. She is also a personal assistant to Michele. Beau: Assistant manager of the store. He and Michele have a close relationship that other employees are a bit jealous of. Tiffany: She has tattoos, wears amazing shoes and you can always be surprised at what color her hair might be. 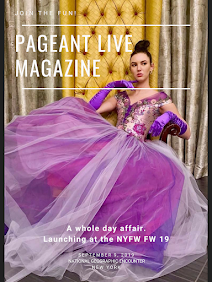 She has her own line called “Donna Faye” named after her grandmother and designs custom pageant dresses (which I would LOVE to wear one of her gowns!) And on a personal note, I like her the best! She is edgy and not your typical pageant gown designer. Hannah: A senior in high school and the girl who is not afraid to tell you how she sees it. You will always know where you stand with Hannah. If she does not like the dress, she is not afraid to tell you, no matter if it might offend you. She is the kind of girl I wish I could be like at times. Gretchen: How can you not love Gretchen? She is the girl that will always make you feel beautiful about yourself. In 2008, she won Miss Nebraska America. You can tell she is a store favorite. What is it like to manage all the different personalities? Michele doesn’t want to say she comes home to babysit her children, but now it feels like she comes home from babysitting children at the store. They are all very interesting in their own regards. They all have such unique personalities and this is why Michele hired them. Even Tiffany with her tattoos she does not fit the typical pageant mold! But of course, together they create magic and for TV purposes, everyone is letting their inner diva come out! They do make Michele laugh, and she tries not to take it too serious. So by now you have all watched the show, and you know Beau is the new Assistant Manager and Tiffany will still be the designer. It will be exciting to see how it all plays out with Beau in charge when Michele is not around. Will he last? On a personal note: Michele’s daughter competed in the natural part of a pageant. What are her thoughts about the “glitz” pageant systems? Michele stated she is not a huge fan of the true glitz pageants. She doesn’t want to see kids wearing makeup, or fake hair or fake teeth or spray tans. Children are beautiful they way that they are. There are pageants for children that are keeping them as kids. One is National American Miss Pageant. She feels that is a pageant that promotes self-esteem for children, giving them life skills. Showing them how to speak in front of groups of people. In the Glitz pageant world, there is no interview or speaking on stage. Those are two valuable life skills that anybody who has ever competed in a pageant has gained from. In her opinion, Michele does not believe you learn any life skills by being in a glitz pageant. She feels it is hurting our women and girls who are becoming women, their self-esteem and what they feel they need to look like. Michele is proud of her daughter Emma, she did not put any makeup on her when she competed in the pageant. She let Emma compete as who she is. Michele is also a Pageant Coach, she is a no holds-bar/brutal honest coach. Is that the best way to create winners? Michele feels it is a good way to coach. People are coming to her either because they have not won, or they have been close, but have not won yet. She doesn’t feel it will do anyone any good if she sugar coats the issue. If in the past the client has picked poor wardrobe that is an easy fix. Wardrobe is the most common mistake a client makes. They are picking items they see in a magazine and it is not a good fit for them or their body type. Michele is able to tweak that and help them find things that look good on them. In the interview training, Michele takes a completely different approach of what people think they should be doing in an interview. Michele is all about letting their natural stories of life come out, it’s all about building off your own life experiences and letting those judges know who you are. People have said that if you can get through the interview session with Michele, you will be fabulous in interview. Who are some of Michele’s winners that she has coached or dressed? Teresa Scanlan, Miss America 2011. She came to Michele when she was competing for Miss Nebraska. They were able to help her on a very small budget. She went on to win Miss Nebraska 2010, then on to win Miss America 2011. Teresa was one of the youngest in history to ever win Miss America at the age of 17. Michele was involved with her wardrobe, Michele custom designed her dress that she wore for Miss America. The goal for that dress was to make her look a little bit more mature since she was only 17. They wanted something that would stick to the theme of white, but made her look a bit older and mature. What is one of the biggest mistakes pageant girls are making when they come in to purchase a gown? Most have an idea in their head of what they want to look like, and it is hard to pull them away from that when it’s the wrong choice. Sometimes people come in, mostly with the Mrs. Contestants, where they are set on wearing a white dress, because they think white is the color that is going to win. Sometimes they do not look good in a white dress, so some of the time it is hard to talk people out of it. She has lost clients over it, but she is not going to give in and say “sure that looks great”, when she knows it is not. If you are going to go to a coach and an expert in something i~ it is because you want their advice and opinion. It’s the same thing if your daughter was in gymnastics, you would not train them yourself, you send them to an expert. Winning in white. Why do people think they need to wear white to win? By statistics more women are wearing white, so your odds of winning in white are greater. There are certain people who look better in white. Michele likes to wear white, black or red when she competes. People have the mindset that white wins and it is hard for them to get past that. However, if there is a black backdrop on a stage and someone comes out in a white dress with sparkles on it, you tend to notice that. White can look good on stage depending on what the backgrounds are. Michele says pick the dress on the fit first and color second. Obsessed with the Dress is not showing a negative light on pageantry. The drama comes from within the store. 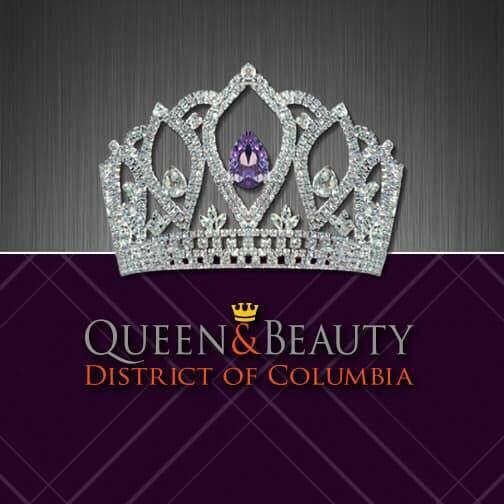 The show is about watching competitors come in and select a dress that will win the pageant. Obsessed with the Dress is on WeTV every Friday at 10 PM EST. Did you miss an episode? You can go to WeTV to get caught up on what is happening. You can also go to ITunes to watch the whole series.